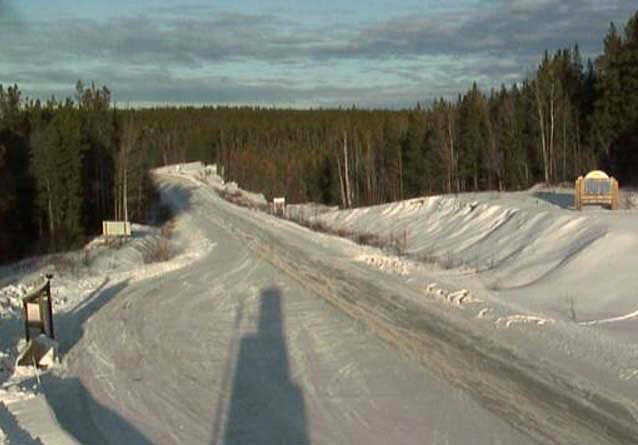 This winter you’ve been using our HighwayCams to check road conditions before you venture out. But did you know that those same cameras can help you explore the beauty of our province? 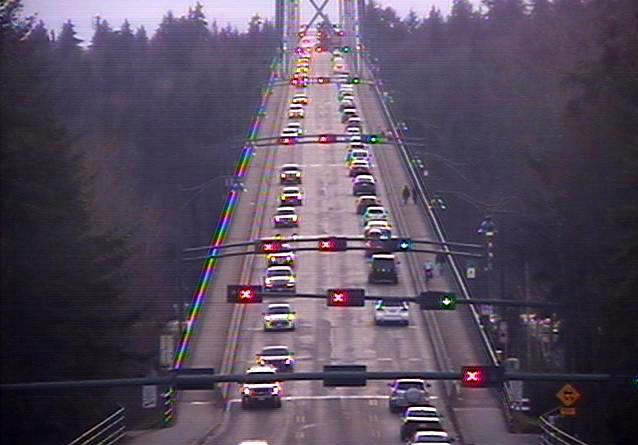 The Lions Gate Bridge is a gateway to Vancouver, one of most desirable places to live in the world. This view could symbolize the appeal of living in a modern metropolis surrounded by awe-inspiring nature. Pedestrians, cars, traffic lights, and the bridge converge on the horizon framed by large, magnificent trees. This view of Little Fort, also known as the ‘Hub of the North Thompson’, is situated at the junction where Highway 24 and the Yellowhead Highway 5 meet, 31 km (19 miles) south of Clearwater and 31 km (19 miles) north of Barriere. This view is typical of the winding and undulating route travellers take to reach the coastal natural wonders in and around Tofino and Ucluelet on Vancouver Island. Cutting through the middle of the frame, the road directs the eye to Pogo Mountain in the background. Road, tree-line, mountains, and sky are subtlety layered in this expansive view along the Trans Canada Highway in Yoho National Park named for a Cree expression for awe and wonder. What lies beyond borders and boundaries can be the stuff of dreams. 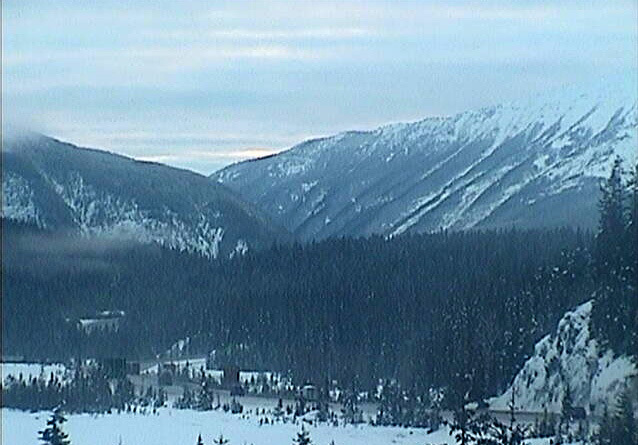 This serene view looking north at the B.C.-Yukon border stirs in us a passion for exploration and discovery. 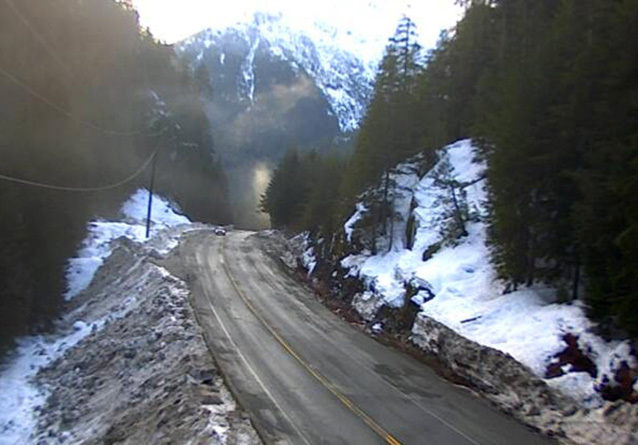 What’s your BC favourite HighwayCam view? What makes it so special? Share your thoughts and stories in the comments below. 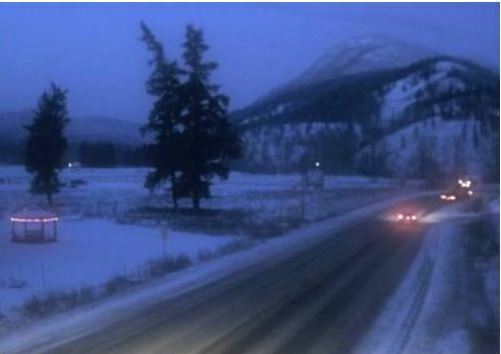 Those are wonderful pics but…..why are there not web cams on the Connector from Kelowna to Merrit? And if there are where do I find them. I’ve always been partial to the McDonald summit west of Little Fort.